Australians are at greater risk of hearing loss than ever before through their lifestyle choices. Hearing loss is seen by most Australians as something that happens to our ears as we age. However, due to the noisy nature of modern living coupled with the lifestyle choices young people are making that involves listening to loud music, more Australians have a greater risk of acquiring a hearing loss earlier in life. For more information on hearing loss prevention, go to the HEARing CRC’s HEARsmart website. The 2005 Listen Hear! Report provides more in-depth information about the prevalence of and economic impact of hearing loss in Australia. About one in six Australians has some kind of hearing loss. Experts believe that 37% of the hearing loss experienced by individuals was caused by preventable and repeated exposure to loud noise that is known as Noise-induced Hearing Loss. Preventable hearing loss occurs when the Cochlea (the organ that sense sound) located in the Inner Ear is damaged by the repeated exposure to loud sounds. By becoming more aware of the sounds you are listening to and for how long, the risks of acquiring a Noise-induced Hearing Loss can be significantly reduced. Go to our HEARsmart website for more information on how to look after your hearing to reduce the chances of having a hearing loss. In 2005, an estimated 3.55 million Australians were believed to have hearing loss – that’s roughly 17 percent of the total population. In general, the amount of people with a permanent hearing loss increases significantly with age with males experiencing relatively higher levels of hearing loss. By 2050, one in four Australians are expected to have some kind of hearing loss. This increase is largely due to an aging population but increasing exposure to dangerous leisure noise is another by younger Australians is a contributing factor. 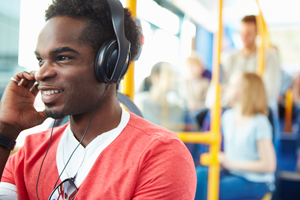 Despite loud noise exposure being highly regulated in the workplace, young adults and teenagers are acquiring permanent noise-induced hearing loss through increased exposure to damaging noise from listening to live music and using portable music devices such as iPods. As a result, Australians are acquiring hearing loss much earlier in life than previous generations. In 2010, Australian Hearing’s National Acoustic Laboratories’ Binge Listening Report revealed young Australians have a greater risk of acquiring a hearing loss through their leisure activities, In particular, listening to music through headphones and regularly going to nightclubs and live music concerts. The daily use of noise technologies such as cars, airplanes and other forms of machinery, has exposed people to increasing amounts of environmental noise that over time directly impact on our ability to hear. In Australia, noisy work environments are regulated so loud noise is kept to a minimum and hearing protection is readily available to employees where needed. However outside regulated workplaces, there are many sound sources that have the potential to damage your hearing. Continuous exposure to harmful noise can also lead to Noise-induced Hearing Loss and a ringing in the ears called Tinnitus. As a general rule, the higher a sound’s volume, the greater the chance it’s damaging your hearing – especially if exposure occurs over a long period of time. Hearing Loss Prevention (National Acoustic Laboratories).